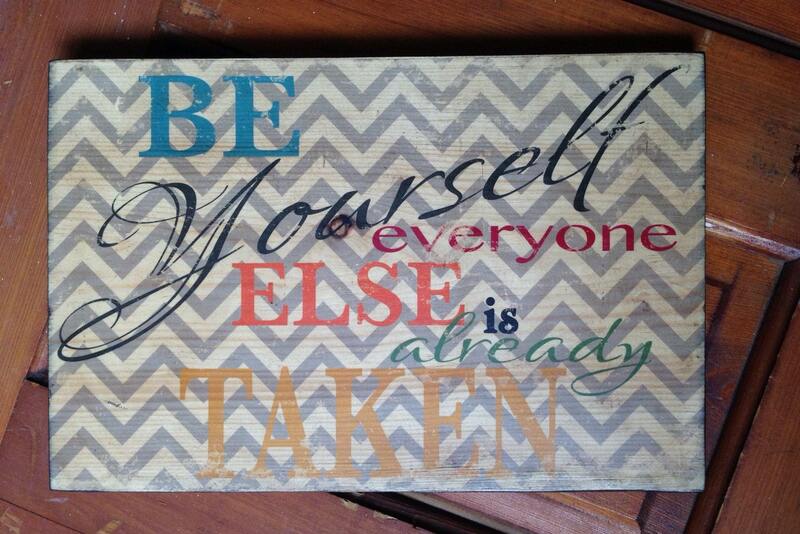 BE YOURSELF EVERYONE ELSE IS ALREADY TAKEN - This typography art/sign on pine wood tells ya like it is! 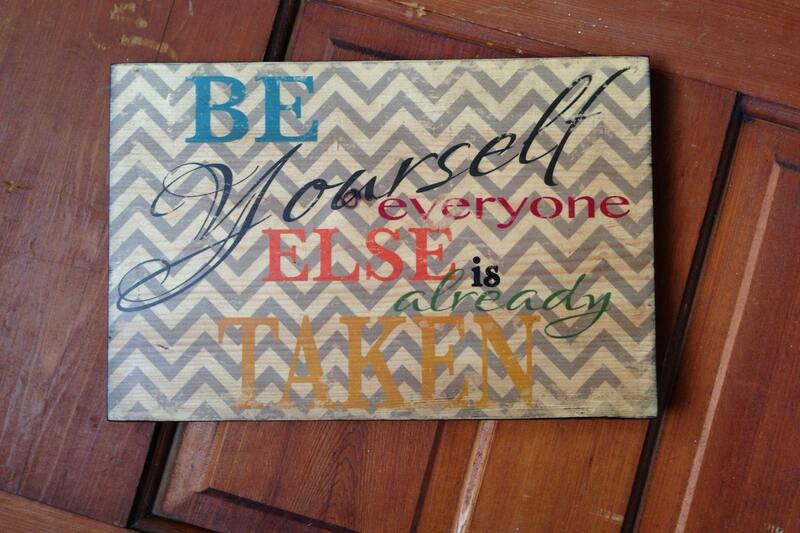 Cute quote will inspire you or your little ones to be who they are, not to mention, it'll add a whimsical charm to any room or office! Hanging hardware included on the back of art/sign. Thanks for looking! ♥ Want a different color? Message me and ask - I can do this in almost any color combo! Note: Some changes may require small upgrade charge. 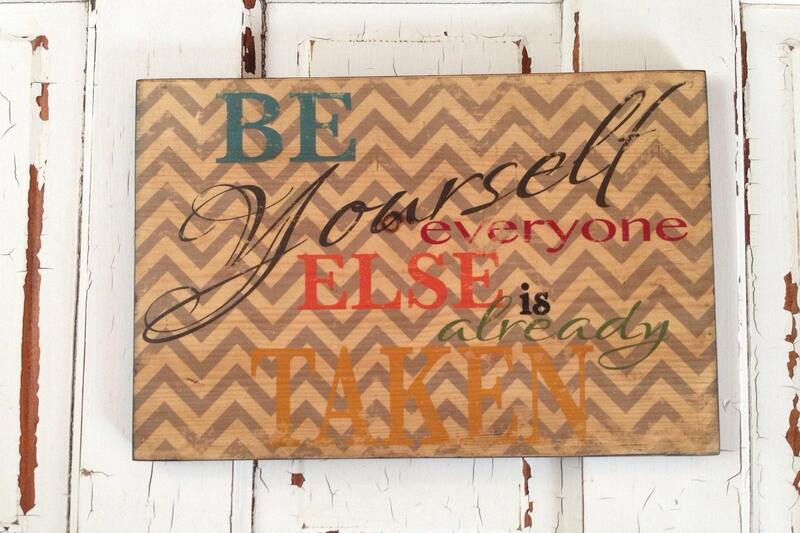 ♥Want your OWN CUSTOM piece?! Please SEE MY "CUSTOM PERSONALIZED TYPOGRAPHY" listing and/or message me if interested in this option. CUSTOM MAY TAKE LONGER TO RECEIVE, PLEASE message me to see how long it will take to receive your item, as well as the upgraded cost due to the extra time involved in creating a personalized item. 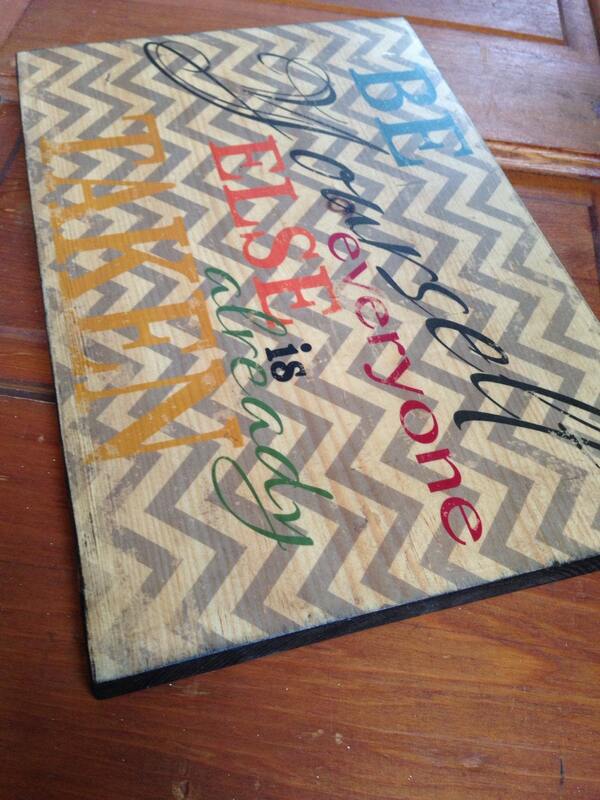 You will receive a proof for your approval (or to give corrections, etc) prior to the sign being completely finished.